Tonight we had our Friday night traditional Family Date Night at Cane Rosso. Nothing out of the ordinary here. Get off work, beat the crowd, sit at the bar surrounding the massively hot stone over blazing fiery inferno dome. You know, the usual. As we awaited our focaccia and our cocktails from the new cocktail menu, Emerson played on her new etch-a-sketch. After our darling grew tired of her magnet drawing pad, she opted for the real thing. 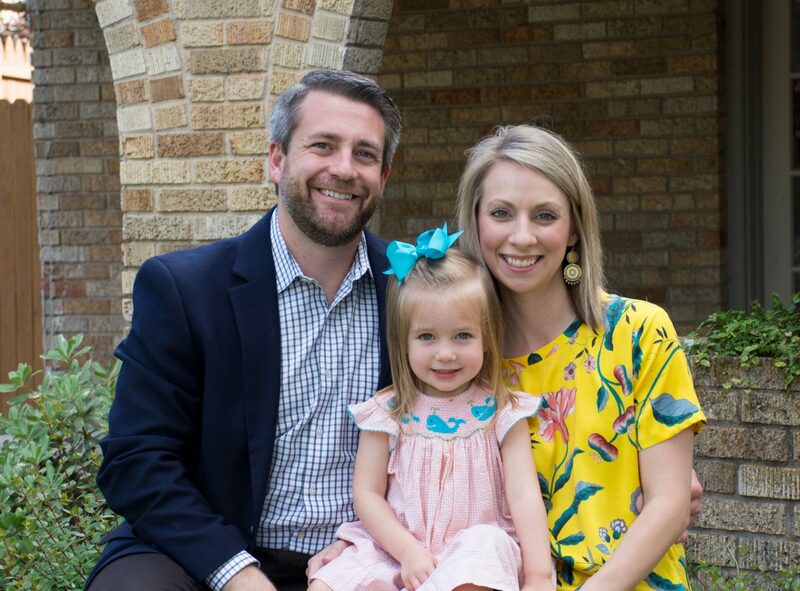 Jess had brought a yellow piece of construction paper (really, who uses paper for construction – that house would fall over at the first rain drop) which had Emmy’s latest school art on it. 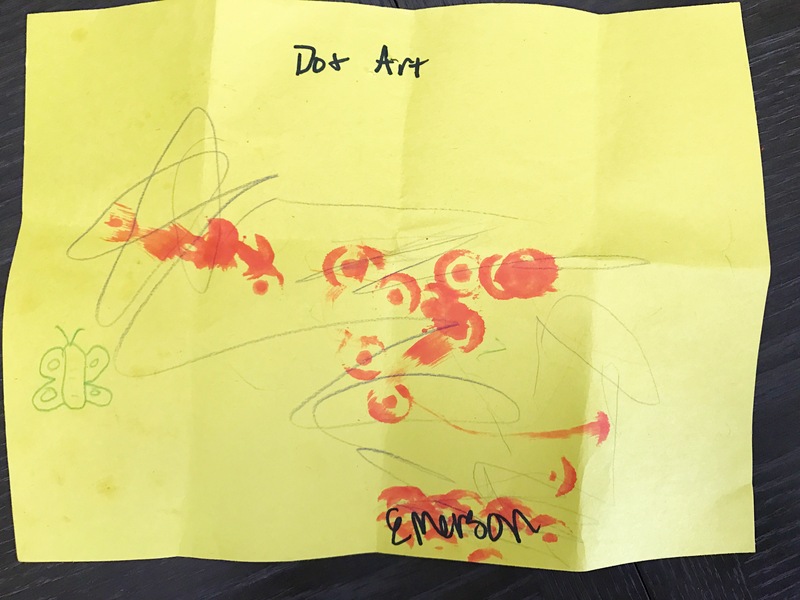 “Dot Painting” by Emerson. It was red dots made with a circle and an inner circle within. It didn’t necessarily rival Van Gough’s Self Portrait but we still thought it was worthy. And it became a connect-the-dot pretty quickly as that Sweet Bear took her blue colored pencil and started coloring. She was restless most of the rest of the meal. I grabbed the check early as Jess finished her gin drink and I tried to contain the child a little more. I figured we might go back to her pointillism art piece and see if she wanted to use the server’s pen to sign it. Instead she grabbed it in her right hand and tossed it out front to be rid of this masterpiece. And it landed not on the bar surface, but slid right off into the pizza dough. Mortified. We had that kid. The other patrons sharing our vantage point laughed heartily. It was funny, after all. Jess and I couldn’t reach it and it was a good 2 minutes before the dough boy noticed a yellow and red paper in his pizza base. They were cool about it. I’m sure it wasn’t the first time. But oh my. We’re going to have to start taking something heavier that she can’t throw for entertainment now.